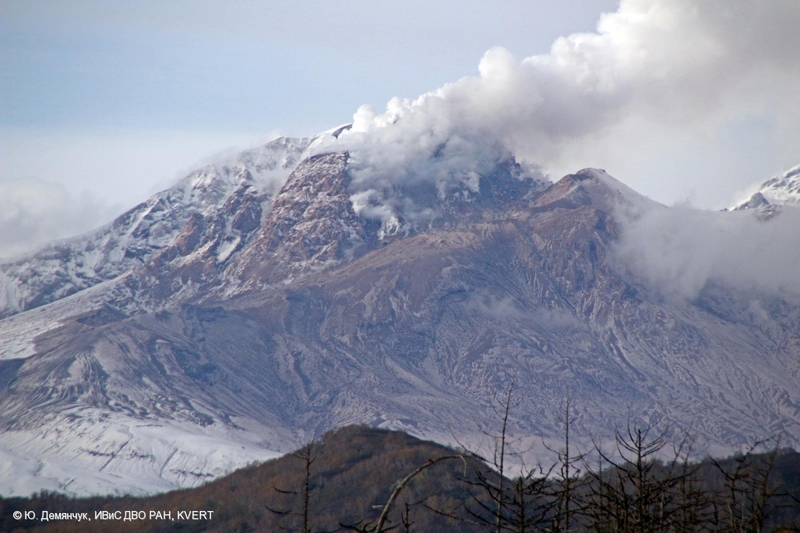 Strong fumarole activity of the lava dome Molodoy Sheveluch volcano on October 04, 2015. 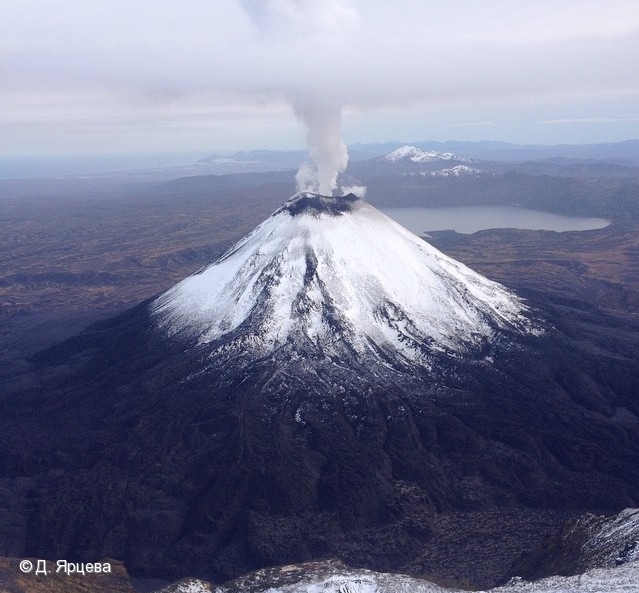 Fumarole activity of Karymsky volcano in beginning of October 2015. 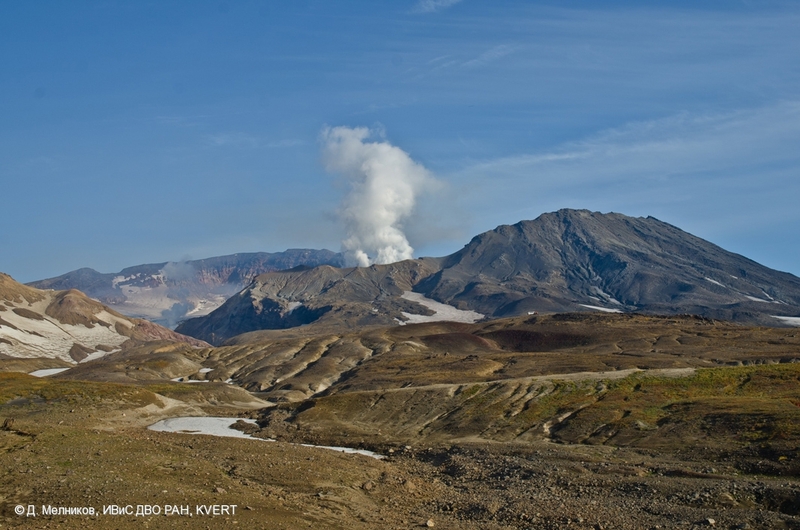 Fumarole activity of Klyuchevskoy volcano on September 24, 2015. 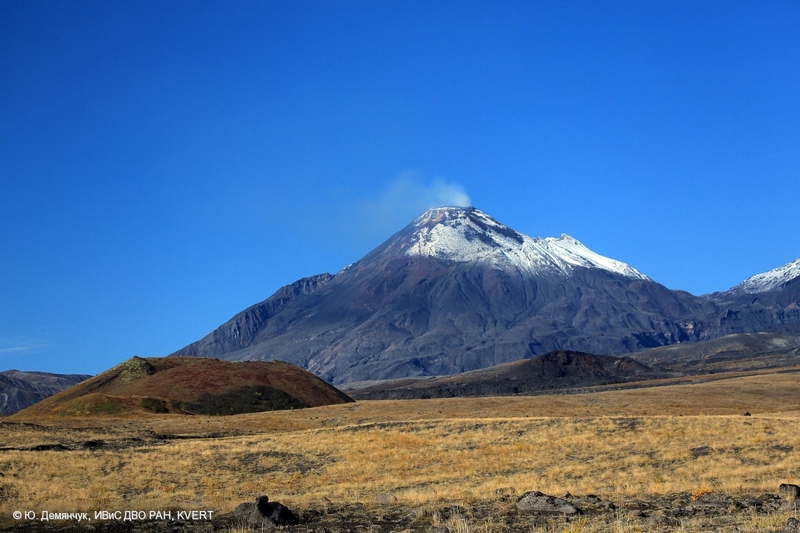 Fumarole activity of Bezymianny volcano on September 24, 2015. 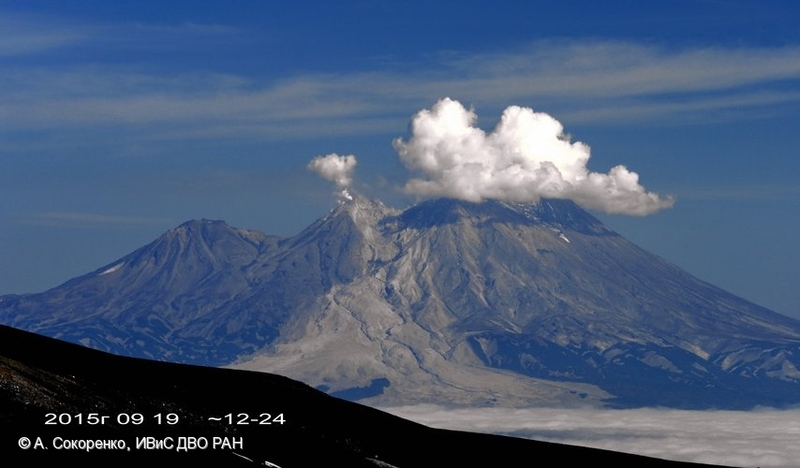 Fumarole activity of Sheveluch volcano on September 24, 2015. 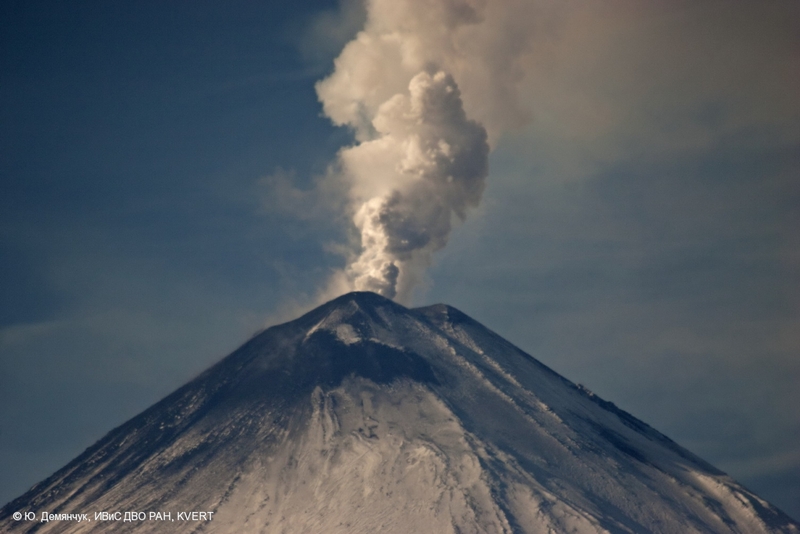 Fumarole activity of Zhupanovsky volcano on September 19, 2015. 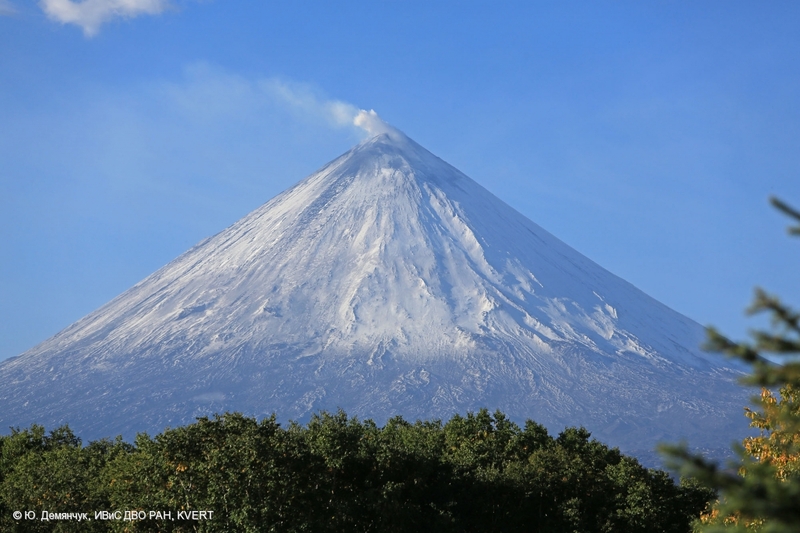 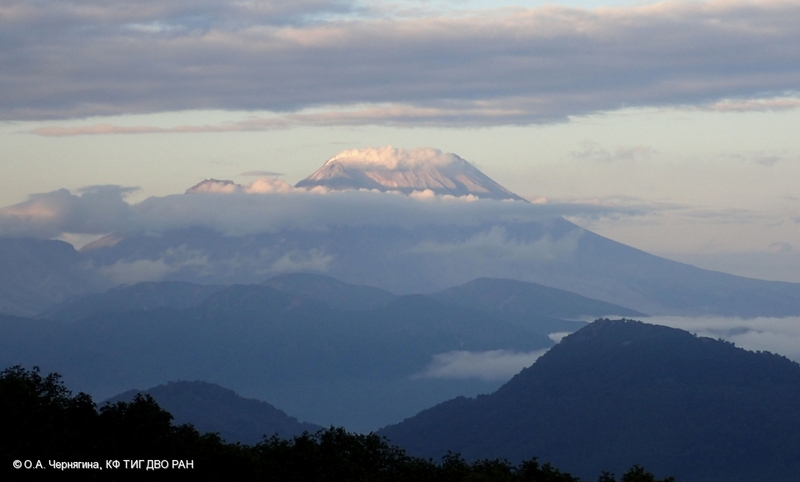 Fumarole activity of Gorely volcano on September 16, 2015. 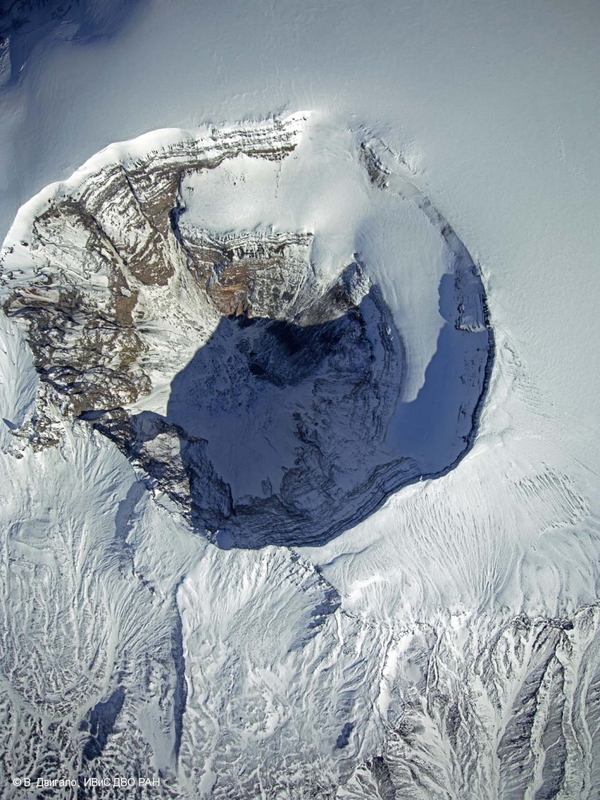 Strong fumarole activity of Mutnovsky volcano active crater on September 16, 2015. 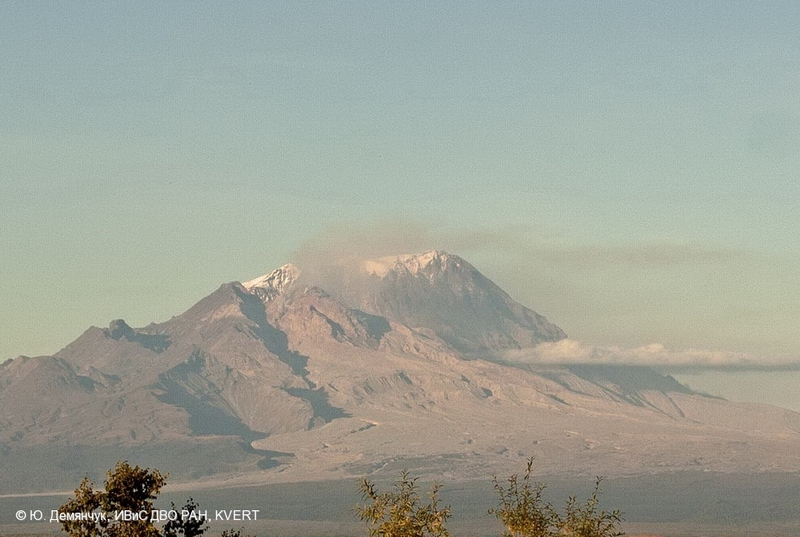 Fumarole activity of Klyuchevskoy volcano on September 14, 2015. 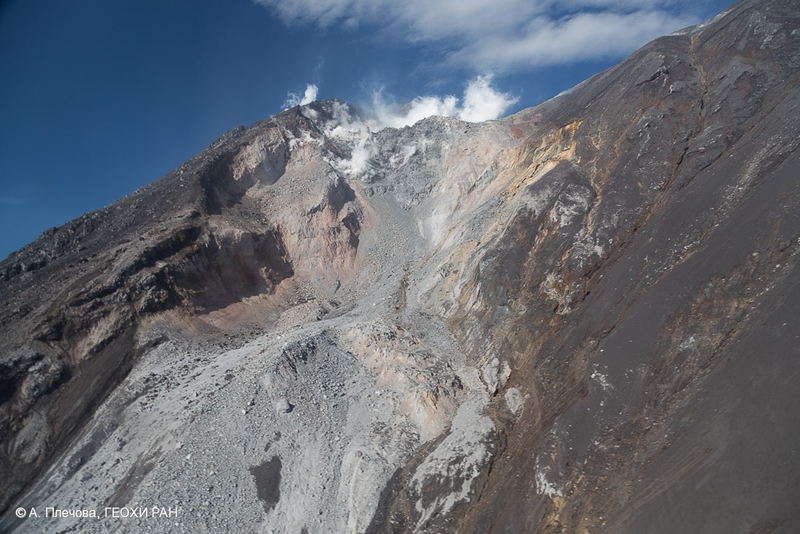 Crater of Alaid volcano fill in pyroclastic of 2012 explosive eruption. 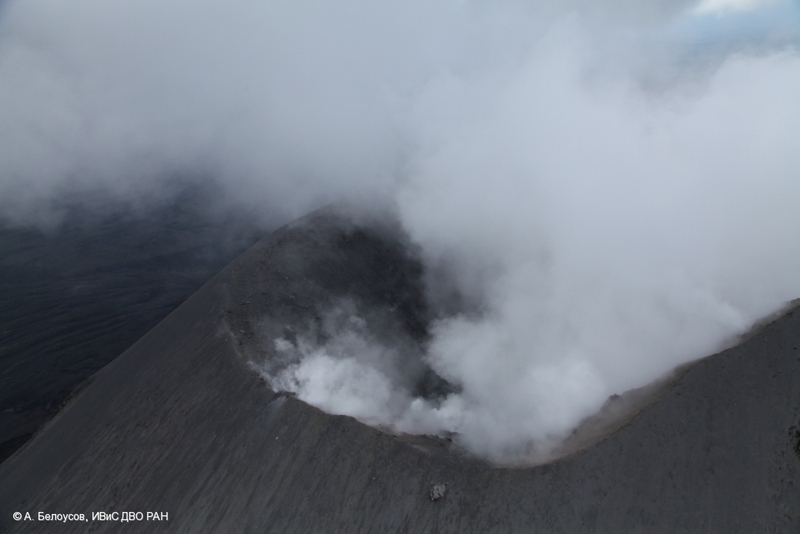 Fumarole activity of the volcano. 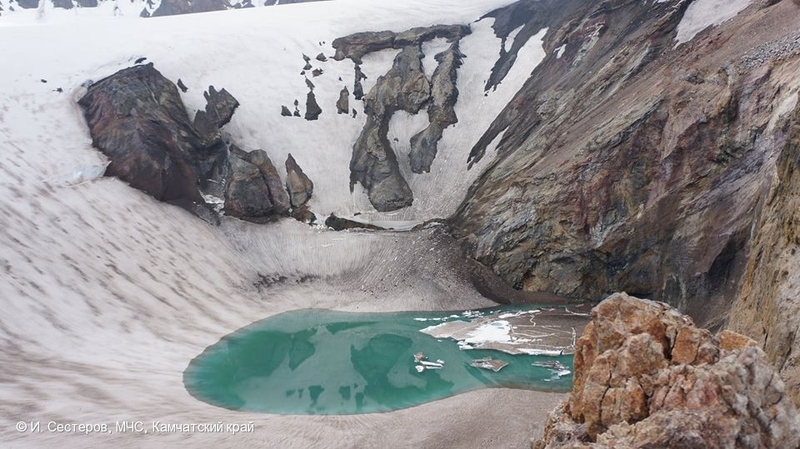 State of Plosky Tolbachik crater on 09 September, 2015. 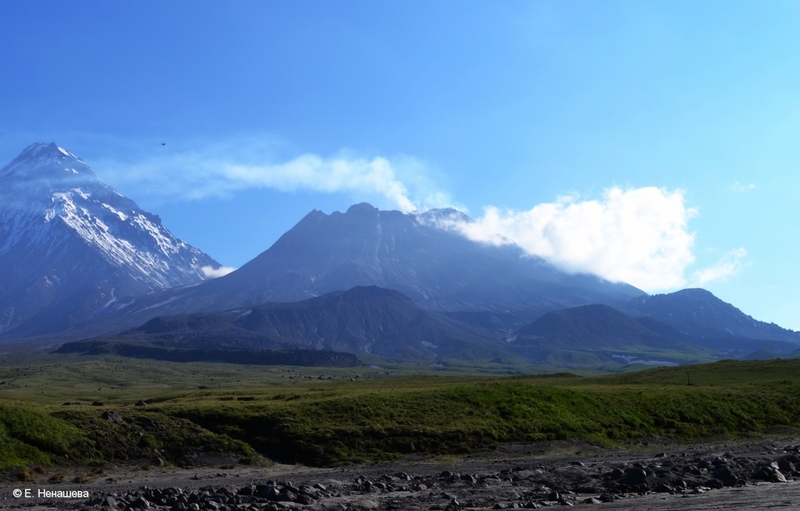 Strong fumarole activity of Klyuchevskoy on August 27, 2015. 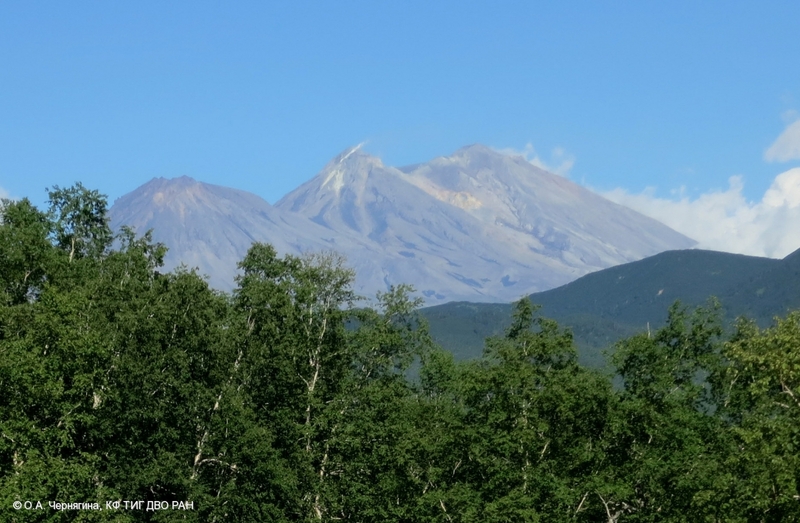 Fumarole activity of Zhupanovsky volcano on August 18, 2015. 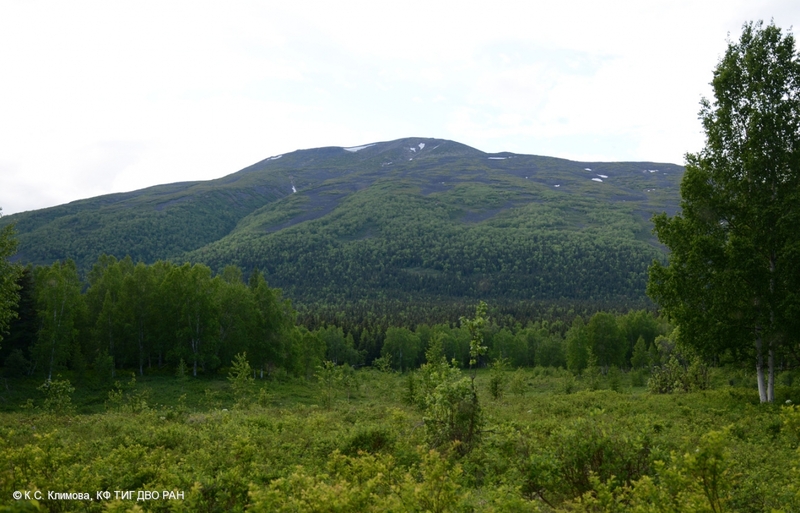 View from Nalychevo Springs. 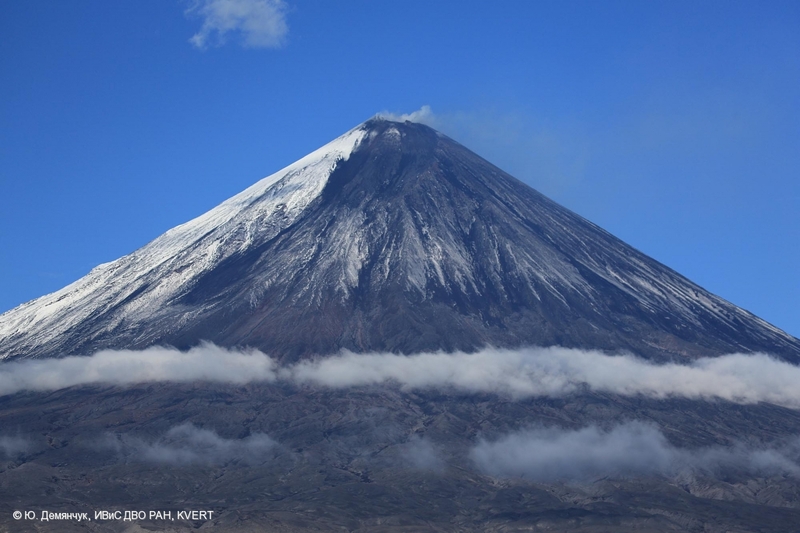 Fumarole activity of Zhupanovsky volcano on August 15, 2015. 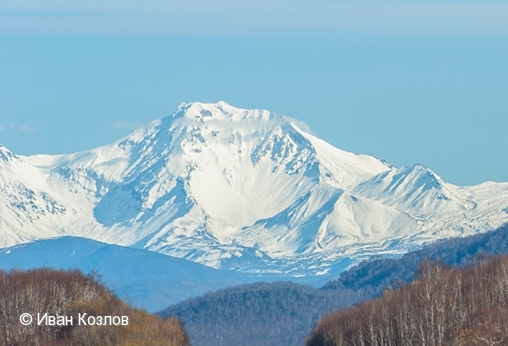 View from Talovsky Springs. 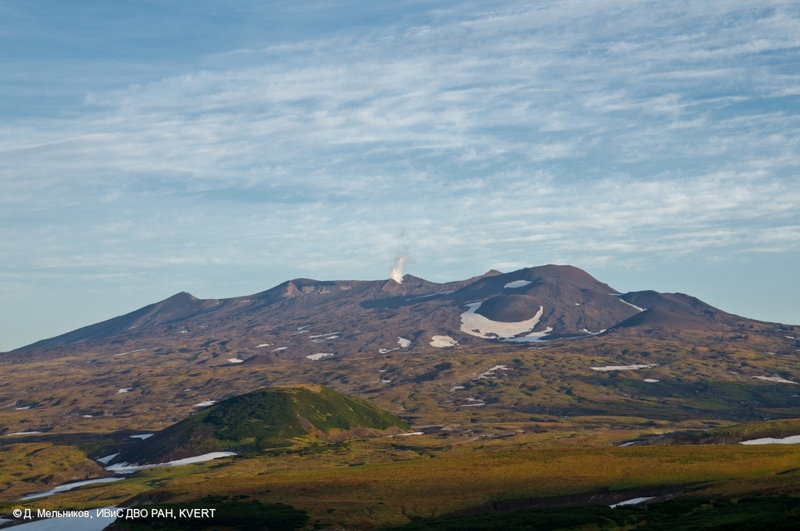 Romanovka volcano, view from the south-east. 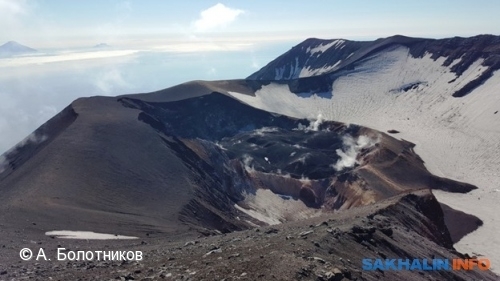 Fumarole activity of Karymsky volcano on August 07, 2015. 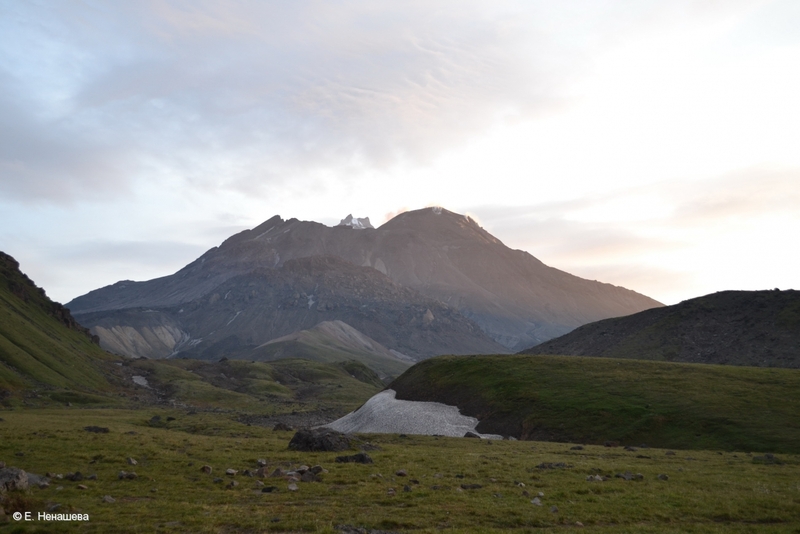 Fumarole activity of Bezymianny volcano on August 01, 2015. 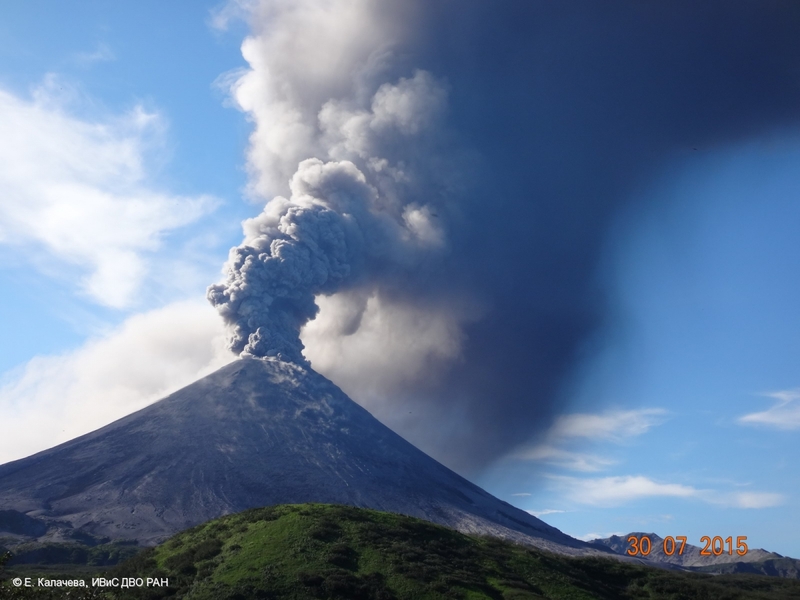 Fumarole activity of Bezymianny volcano on July 31, 2015. 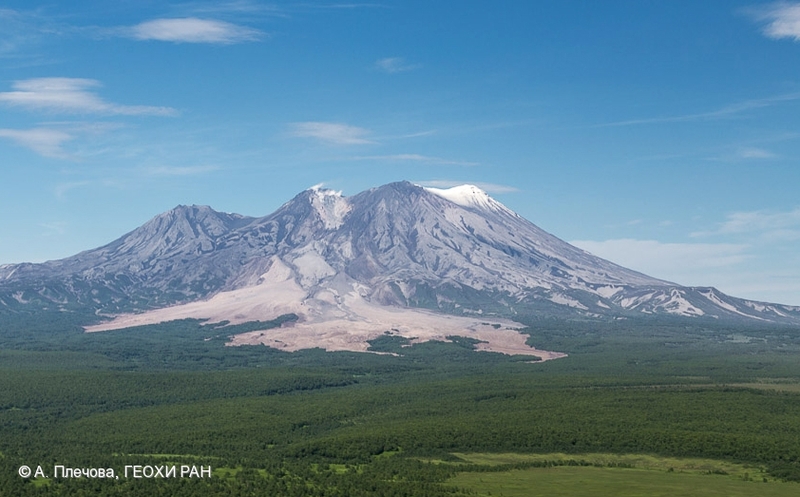 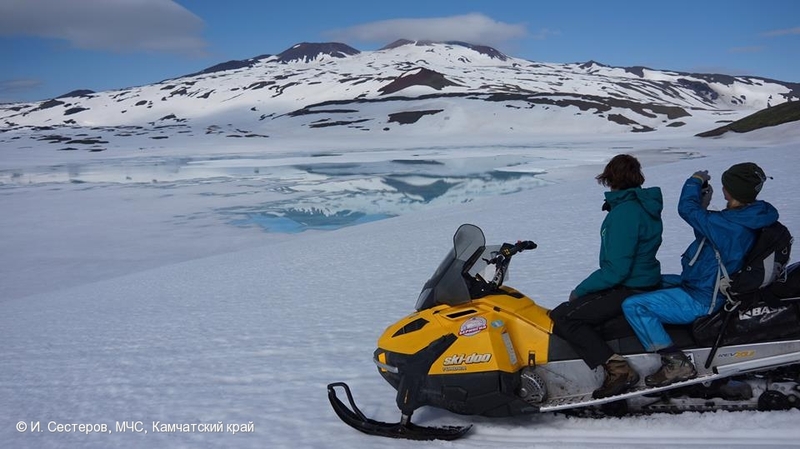 Explosive eruption of Karymsky volcano continues.